HP6616f Model No. BT503AA#ABA : Will it support the 20" LCD and a 24" LED dual display config? I just want to add a new DELL LED display and see that I have a DVI slot on the back of this desktop. Can I just get a DVI cable to plug in the new Dell LED monitor so I can operate TWO (2) video displays off this puppy? That's my objective --- I just wanna use two displays like the big boys do! also Integrated graphics: concurrent use of the DVI and VGA ports is supported. The hard answer is I don't know what is your Dell monitor. I've got at least 30 Dell monitors in my room right now but CAN'T work out which one is yours. Does it have DVI port ? 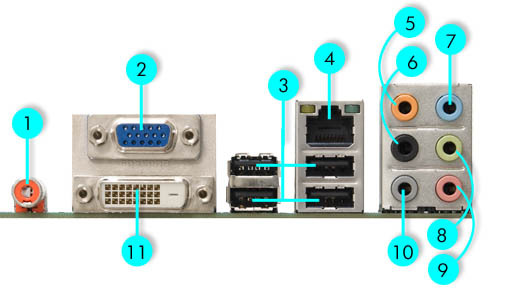 If yes, you can use DVI cable to connect.